You are here: Home » OTHER NEWS » What did the Austrian Newspaper write about Bosniaks, Tourism and the Security in BiH? 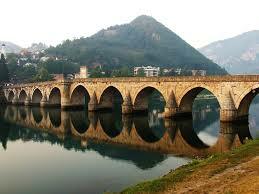 What did the Austrian Newspaper write about Bosniaks, Tourism and the Security in BiH? “When my friends, colleagues or acquaintances tell their friends, acquaintances or colleagues about their intentions to travel to Bosnia, they have to explain certain things. “What, you are going to Bosnia? How can one travel to the country where so many crimes were committed and so many women were raped during the war 25 years ago? Isn’t that dangerous,” wrote Erich Rathfelder in Die Tageszeitung. Erich Rathfelder started his text by describing the scene where he sits with his friends in a café right across the cathedral in Sarajevo. “We can hear the bells. Couple of nuns came out of the church. Children are playing on the plateau in front of the church, where we can see the statue of the Pope John Paul II, which was set up there three years ago. I asked my friends is there anything unusual. After a long silence, Georg from Traunstein responded: “I do not see any graffiti”. Rathfelder also wrote about tourist destinations in Sarajevo, especially Bascarsija and its small craft shops, Bosnian fast food restaurants and taverns with alcoholic beverages. He noted that, despite the fact that millions of artillery grenades fell on Bascarsija, the traces of war are almost completely gone. He also noted that a large number of tourists visit BiH, both from neighbouring countries, such as Serbia and Croatia, as well as from all over the Europe, which includes Italy, France, Germany, Austria, as well as Turkey and Arab countries.